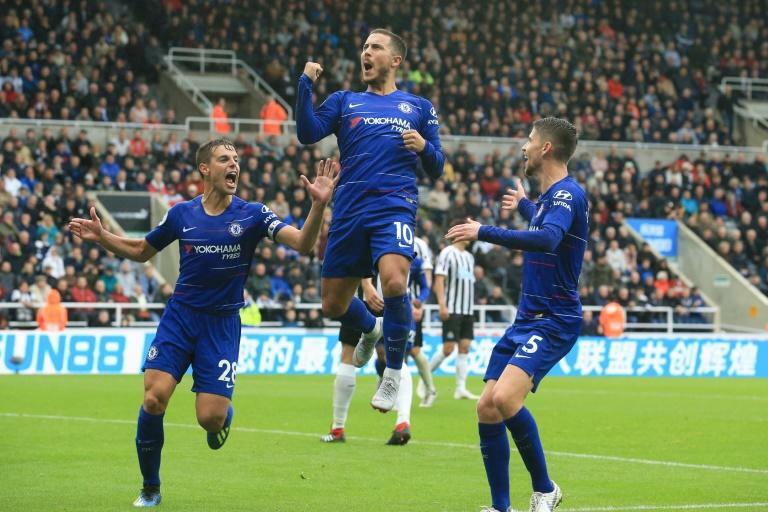 Chelsea required an own goal from Newcastle's DeAndre Yedlin to maintain their 100 percent start to the Premier League season as the Blues ground out a 2-1 win at St James' Park on Sunday. Earlier, Chelsea needed a penalty from Eden Hazard to finally breach a black and white wall erected by manager Rafa Benitez, whose defensive approach succeeded for 76 minutes. The Newcastle manager acknowledged the massive gap in quality between the two sets of players, packing his defence and granting Chelsea the ball for 80 percent of the game. It was possession that they were unable to turn into goals until Fabian Schar's challenge on Spanish defender Alonso produced a penalty. Benitez insisted, however: "Shelvey has been playing with pain, we tell him you cannot carry on with pain because it will stop him. Jamaal came in with ankle problem."